A rich, creamy formula for extra dry skin and those hard-to-hydrate spots like winter-dry hands, elbows, and knees. 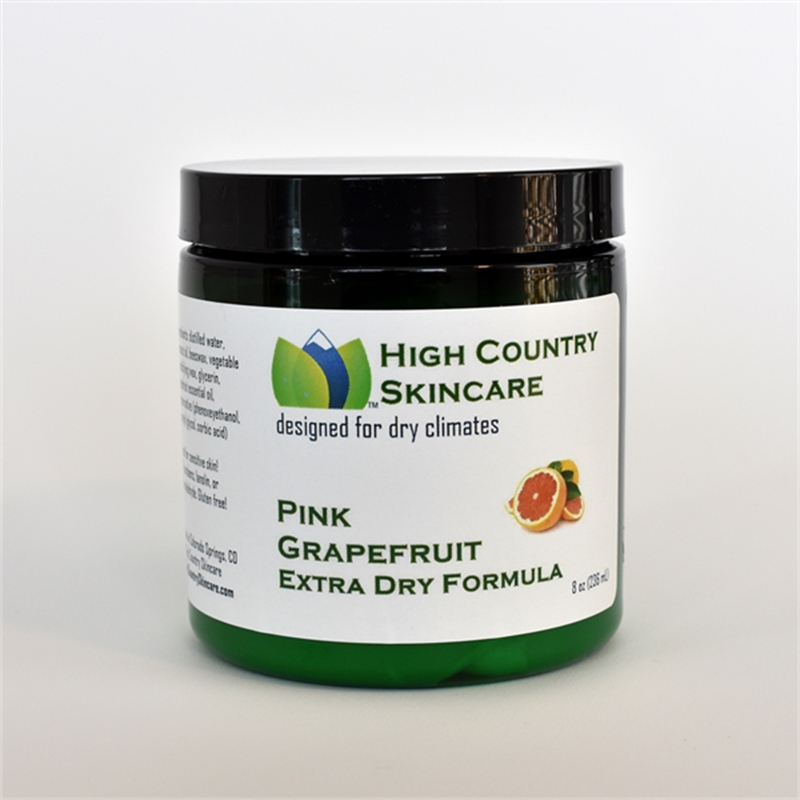 A full 8-ounce jar of our rich, creamy formula in our best-selling scents for your extra-dry skin and those hard-to-hydrate spots like winter-dry hands, elbows, and knees. NEW! 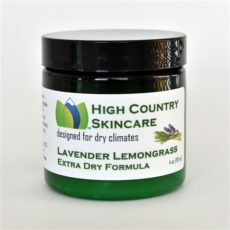 Lavender Lemongrass My favorite combination and our new best seller! Lovely lemongrass with a hint of lavender. 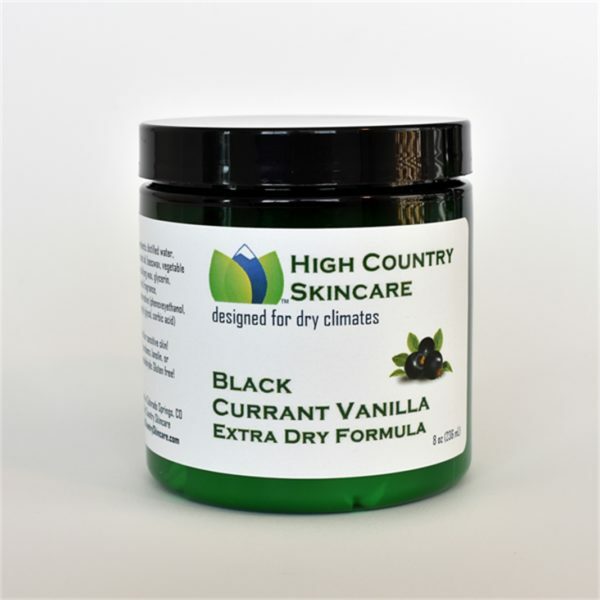 Black Currant Vanilla Think warm berries with vanilla ice cream, mmmm,a best seller. Lavender Soothing, clarifying, balancing, calming lavender essential oil scents this classic cream. Honeysuckle The essence of summer in a jar—a delightful sweet floral scent makes this a favorite. Sweet Orange Rich, fruity, citrus, spirit-lifting sweet orange essential oil scents this luxurious cream. Pink Grapefruit Clean, bright, and revitalizing pink grapefruit essential oil scents this luxurious cream. Peppermint Originally our foot creme, this peppermint is great for all-over moisturizing. 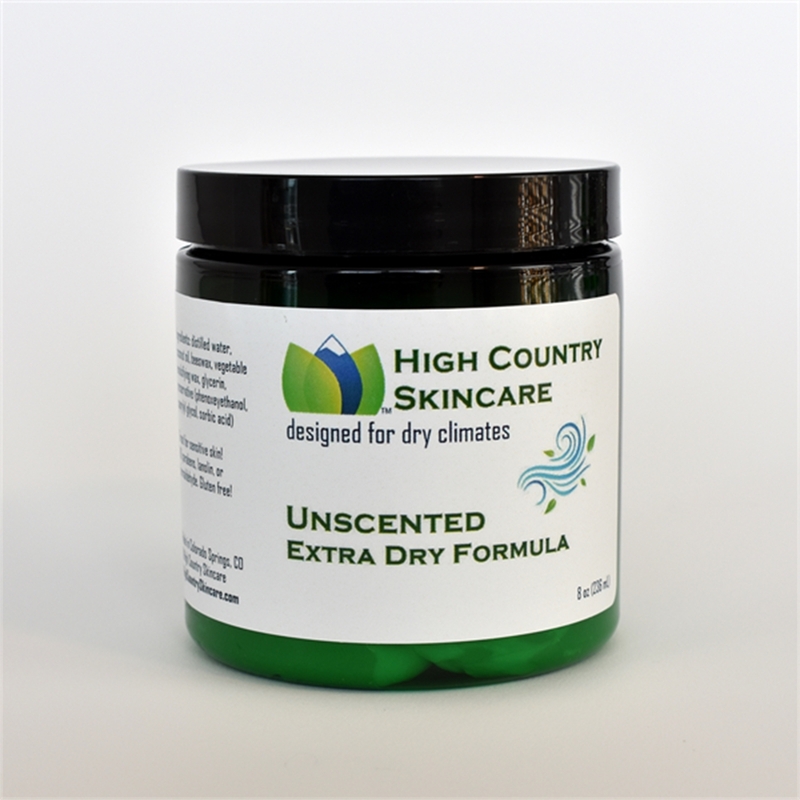 Unscented Perfect for those sensitive to scents or for adding your own custom essential oil blends. I bought the unscented for my 8-year-old son who suffers from chronic eczema. He used it for 6 days and his eczema is almost completely gone! We have tried many products with no results. It is non-greasy and is soothing for his outbreaks. We will definitely be buying more of this! I love the extra dry formula from High Country Skincare! I am so excited I can now get it in a bigger jar! 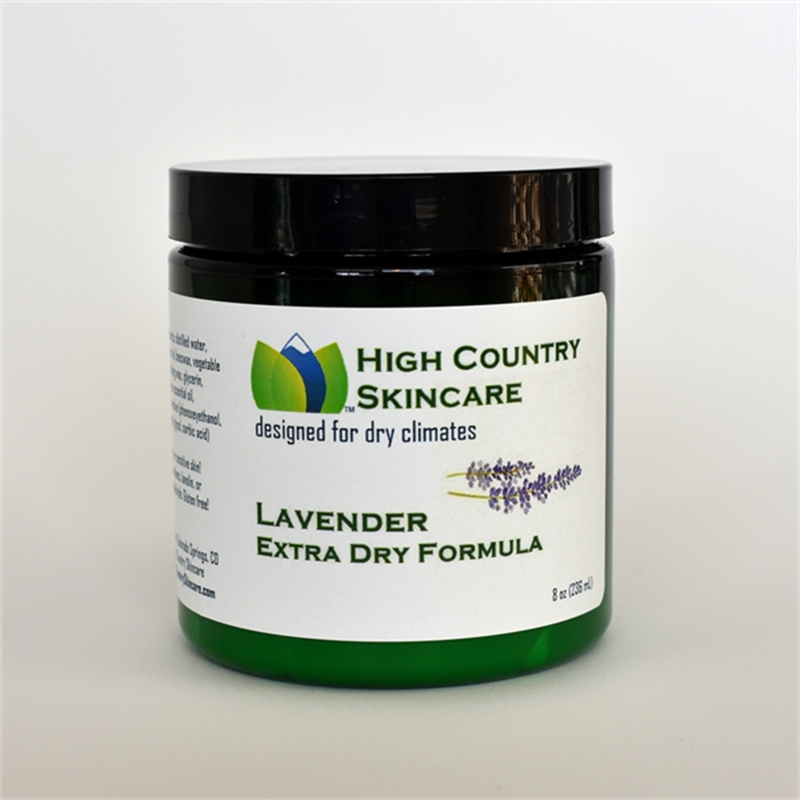 I’m from PA and found the High Country Skincare extra dry formula while visiting Colorado Springs. I bought one jar for me and one for a gift. We both love the product! 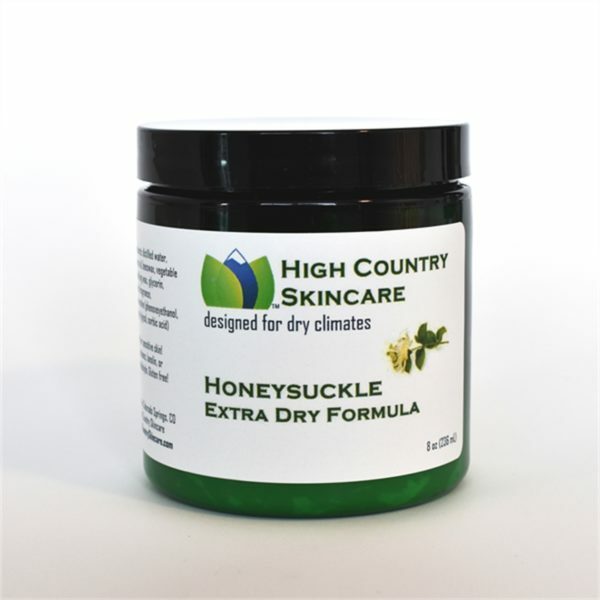 It does everything a hand and body cream should do without feeling oily or messy. The black current vanilla scent is my favorite. I’m thrilled I can order more…I don’t ever want to run out.